In stock - low quantity. Order in the next 3 hours, 29 minutes and it will go out today! 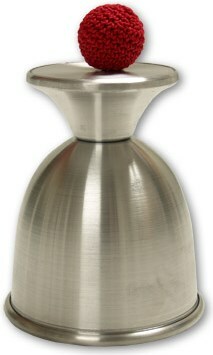 This chalice style chop cup is made of aluminum. The cup stands approximately 4.5" tall and is supplied with two 1" crochet balls, cloth carrying bag and instruction sheet.